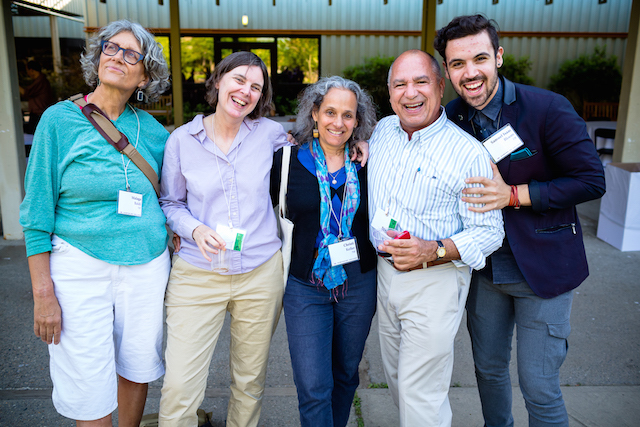 Anonymity marked the start of Luis Hernandez’s relationship with Hampshire, but today he’s one of the school’s staunchest champions and vice chair of the board of trustees. 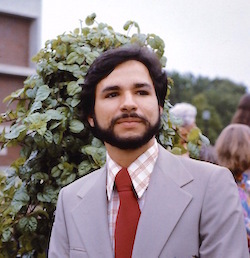 His education funded by scholarships from anonymous donors, Hernandez — class of fall 1970 — took a chance and came to a new, experimenting college far from home. The trip from his native Washington Heights, a largely Spanish-speaking neighborhood in northern Manhattan, is only about 150 miles, but for Hernandez, the journey to western Massachusetts could be measured in light-years. “I came to a place that was completely alien to me in terms of economics, culture, even language,” he says. A lifetime educator, he has shown his gratitude in many, many ways, perhaps most significantly by paying it forward to the Hampshire students who followed him: Hernandez has made a donation to the College every year since he graduated. That’s 44 years of giving, and counting. His arrival on campus certainly didn’t presage his future as a board member and honored donor. In fact, it was spectacularly unceremonious. A bus dropped him off at the bottom of a hill that led up to a muddy construction site in the middle of a farm, aka Hampshire College. A city kid, his natural resiliency kicked in. He adapted quickly and developed an affinity for — even a joy in — rural living. “There was an apple orchard. I thought, ‘Can I pick one? Is it legal?’ But we had apples every fall and that was just a beautiful, beautiful experience,” Hernandez says. He also recalls an impromptu celebration of a full moon during the start of his first year, 200 or so people sitting in a circle and singing in the moonlight. Soon, he integrated into the community, but as a first-generation college student, he knew that many classmates were better educated and worldlier than he. Hernandez worked hard to gain ground academically and excelled. After graduation, he entered a master’s program in architecture at UCLA. Architecture requires a lot of solitary work, and it proved a bad fit for an extrovert. Hernandez found his friendliness rebuffed by classmates. Fortuitously, he needed to earn some extra money and found a part-time job at gregariousness central: in a pre-kindergarten class. He became a teacher’s aide — and thus began his trajectory into a lifelong career in education. It was just the kind of professional U-turn a self-directed Hampshire graduate could make with confidence. After earning a master’s degree in bilingual and multicultural education from the University of San Francisco, Hernandez taught school, gaining firsthand classroom expertise from kindergarten through high school. Next, he started developing educational programs for children and professional-development curricula for Head Start teachers across the country. Today, he’s an early childhood education specialist who provides training and technical assistance through Western Kentucky University. His expertise encompasses early literacy, dual-language learning, adult-learning practices, and diversity. Now a resident of Miami, Hernandez is a regular presenter and keynote speaker at conferences. He has served on advisory boards for a host of educational organizations, such as the United Way’s Center for Excellence in Early Childhood, the National Association of Child Care Resource and Referral Agencies, the National Association for the Education of Young Children, and the National Latino Children’s Institute. Hernandez brings both knowledge and enthusiasm to his work as a Hampshire trustee, a mantle he took on in 2011 and that he’ll shed in the spring, when he retires from the board. One of the College’s most loyal supporters, he’s made it a priority to contribute whatever amount he can to Hampshire every year, starting in 1975—a four-decade history of giving to his alma mater. 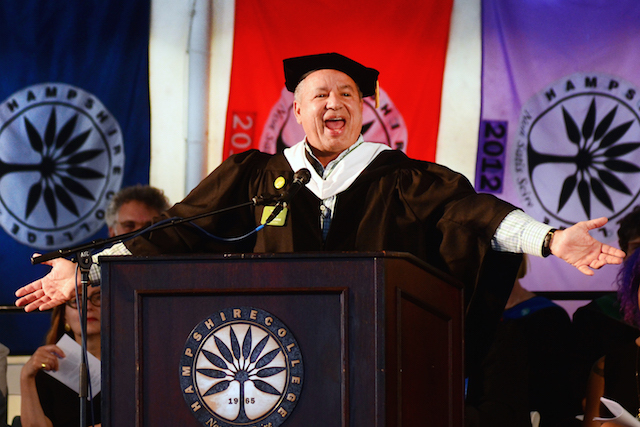 “This experiment we call Hampshire is still so alive,” he told the crowd at the 2015 commencement. And 48 years after he first set foot on campus, he’s looking ahead to the College’s 50th anniversary — a three-day celebration that will be held from June 4 to June 7, 2020. Hernandez is the board’s liaison for that event, collaborating with the Alumni Advisory Group and the Alumni and Family Relations office.